John Appleton sold a five and 3/4 acre lot on the south side of Topsfield Road to Moses Kimball, a tailor, who built some portion of this house in 1688. In 1696 Moses gave an acre of the land with the house on it to his son Moses Kimball Jr., who died in 1749. The enlarged house stayed in the Kimball family for several generations. A portion of the property was sold to the Eastern Railroad for the line that exists today. A later Moses Kimball in this family line was an unsuccessful Boston politician and owner of the Boston Museum, which became the Museum of Fine Arts. John Appleton, Junior, was a conspicuous figure in the Andros Resistance. This deed recites that he had lately built a house on this property, near his father’s. The inventory of Daniel Appleton, Esq., son of Col. John, in 1762 included “the old house, with about four acres of land which was formerly the Hon. John Appleton Esq.” On this lot Lieut. John Appleton must have built his new house about 1687, and the older house of his father disappeared, and no trace of it remains in the family deeds, which were recorded. The old house of his father, alluded to in Daniel Appleton’s inventory, is in all likelihood the house built in 1687 or thereabout. This house was owned and occupied by the Treadwells before being purchased by Daniel Appleton, and in 1836, there was a bam standing close to the line. The house had then disappeared. This old mansion, it may be presumed, was the place of the famous gathering on the evening of August 22, 1687. Moses Kimball sold to his son, Moses, Jr., a small lot, about six and one half rods, abutting on Col. Appleton’s line, May 1, 1728. A five and three-quarter acre lot of the Appleton land, on the south side of Topsfield road , was sold by John Appleton Jr. , to Moses Kimball Jr., March 21, 1737. Here Kimball made his home and the property descending from father to son. The old mansion was removed a few rods, when the present Kimball house was built, but is sound and strong today. 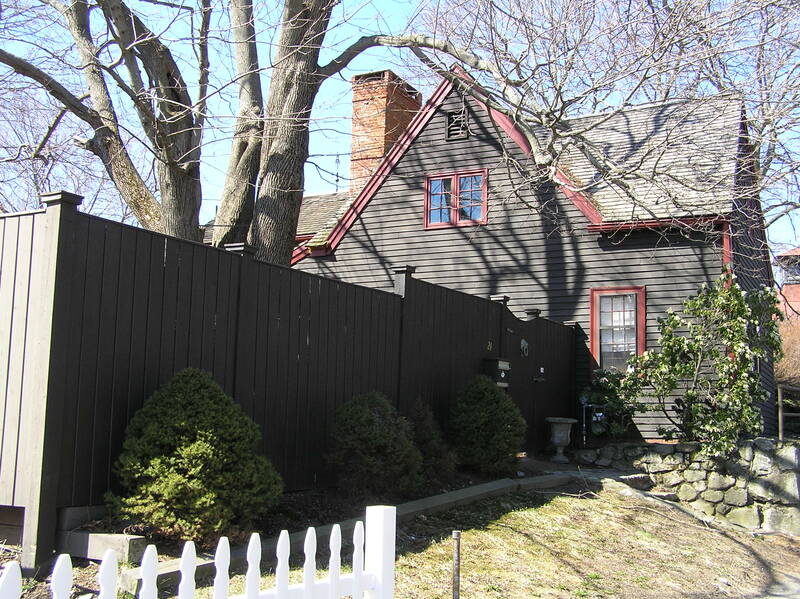 This property may have later been owned by machinist James Peatfield, who along with his brother Sanford manufactured woolen garments in a brick mill they built on Washington Street near the railroad tracks in 1842. In 1846 he bought 7 acres bounded by Topsfield Road and the Ipswich River, and planted a nursery. He sold some of that plot for home lots but continued to operate a nursery until 1885. He was a mathematical genius and even in old age was said to be able to remember every incident of his life. A bit closer to downtown in the Ipswich Mills neighborhood are two streets named Kimball and Peatfield, in honor of these residents.